Tuscany is not only known for its stunning scenery and fantastic cooking, but the region is also famous for being the cradle of the Renaissance. Every town in Tuscany has a museum to proudly recount their history and also showcases the works of the sculptors and painters who helped shape Europe’s most influential artistic movement. One of Tuscany’s most splendid civic buildings, the Uffizi complex was built for Cosimo de Medici in the 1560s in Florence. It was primarily built to showcase the Medici family’s impressive art collection to show off their power and wealth to their subjects and political rivals. Whilst the Medicis are long gone, one cannot help but be awed at the wonderful and famous pieces of art that they gathered during the Renaissance. They include works by Michelangelo, Raphael, Titian, Caravaggio, Rembrandt, El Greco, Botticelli and many more. It’s best to book tickets ahead to jump the queues! Situated on the Piazza del Campo in Siena, this fascinating building has been at the heart of political life since the early 14th century. The Palazzo Publico contains a wonderful museum packed with local historical artefacts and a series of glorious frescoes dating from the early Renaissance, this truly is a fantastic place to come and see when you’re in Siena. 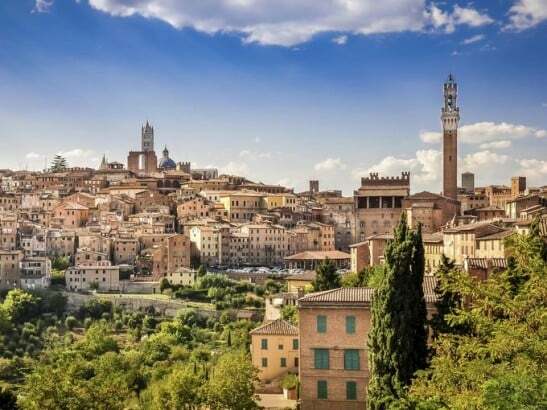 There is also the added bonus of being able to ascend the Torre del Mangia, an ancient tower that gives a spectacular view of Siena’s cityscape. It’s a bit of a climb, but when you get to the top the view is definitely a just reward! For those wanting something a little different, the Ivan Bruschi House and Museum is a definite highlight when you are in Tuscany. Situated in the heart of Arezzo, this museum is crammed full of historical curiosities from the Etruscan period right up until the last century. There are even some artefacts from the depths of Africa and the far-flung shores of China included! Whatever era of cultural or artistic history you are interested in you will find something here to take your fancy. 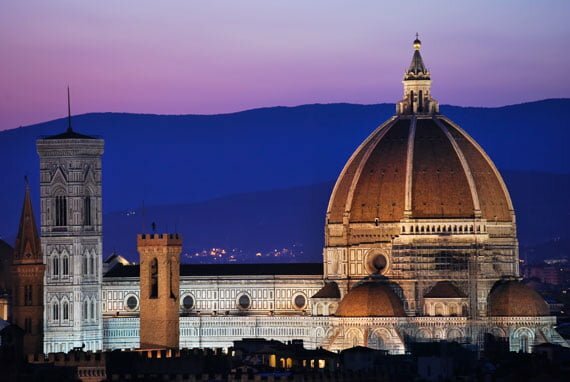 Situated right next door to Florence’s famous cathedral, this building dates back to the late 13th Century and is a wonderful place to visit when you’re visiting the Duomo next door. Since the 19th Century the local council has been carefully removing the cathedral’s most important statues and placing within the Museo dell’Opera’s walls, as over the centuries outside pollution and natural decay had threatened to destroy these beautiful works of art forever. Not only has this helped preserve many important works by famous sculptors such as Brunelleschi, but with the help of preservation experts they have been cleaned up and restored to their former glory. Definitely a place to visit and be inspired by! For those who wish to see a museum with a certain je ne sais quoi, the Palazzo Blu is the place to go. Situated in the heart of Pisa, parts of this palazzo date back to the 10th Century, but its unusual blue colour has been attributed to the aesthetic choice of a wealthy Russian who lived there in the 18th Century. It’s certainly a striking building when you see it in the flesh! It has a fantastic range of Etruscan to modern day artefacts and artwork (as well as a history of how its inhabitants shaped Pisa), but the palazzo also houses beautiful modern art exhibitions. It changes fairly regularly, but artists in the past who have been showcased include Dali, so you never know what you’ll discover when you’re there! We hope you enjoyed our guide to the best museums in Tuscany! If you’re inspired by Italian art why not check our painting holidays in Tuscany? Tiramisu’ – Where’s it really from?